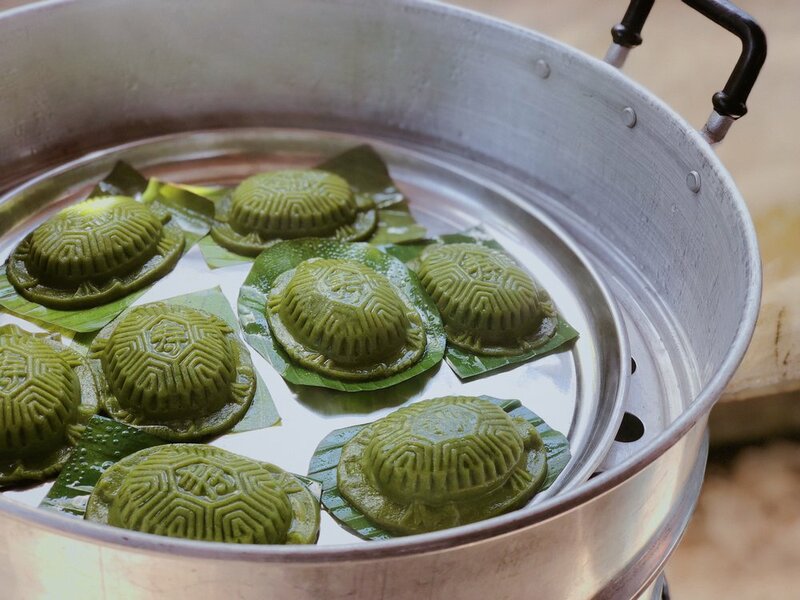 Pandan Ku Kueh (Tortoise Kueh) — kathleen. Whenever I see (sometimes from the corner of my eyes) someone bustling in the kitchen with bags of groceries, something inside my brain lights up. I would very casually hover around the edge of the kitchen (if I didn’t recognise the chef for the day), trying to sniff down what is cooking. If I know the chef, I would straight up ask what they were up to. Naturally. And innocently. 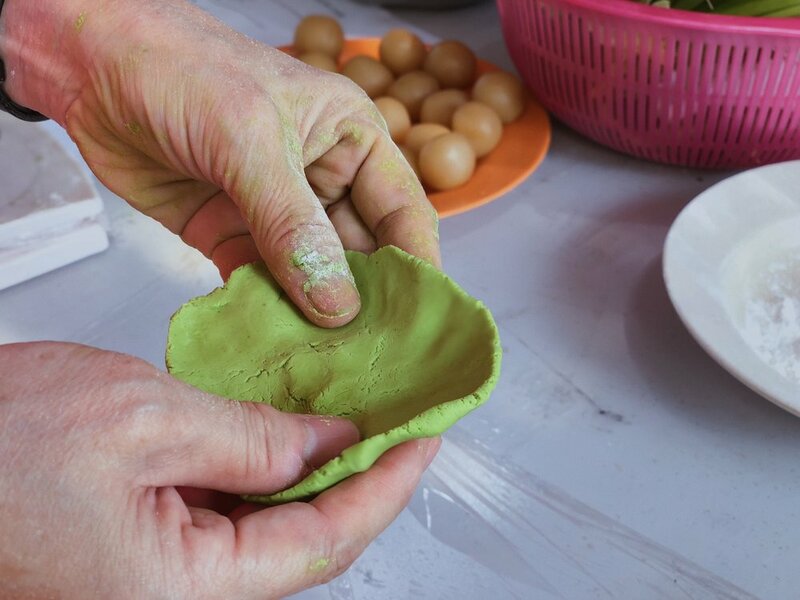 Last week, we had someone in the house doing a trail cook up of Pandan Ku Kueh. Apparently, it was for an upcoming workshop for Mother’s Day. I happened to be on my break from the farm work, so I immediately jumped in and helped make a few. I can neither confirm nor deny I was told I am a natural. It was not until I saw this scene in front of me was I reminded again what it means to be part of a community. Sure, anyone can obviously make this kueh at home on their own. Very easily too, may I add. The very process of making these kueh with a bunch of random people who happened to be around that day, and then sitting down enjoying your own labour over a cup of hot tea makes this afternoon so special because of the chanced experience together. I wish I have the ability to weld the appropriate words and weave them together into the beauty I see and understand in my head. But really, it was the fact that I did not have to wash everything (or anything) myself after the cooking.